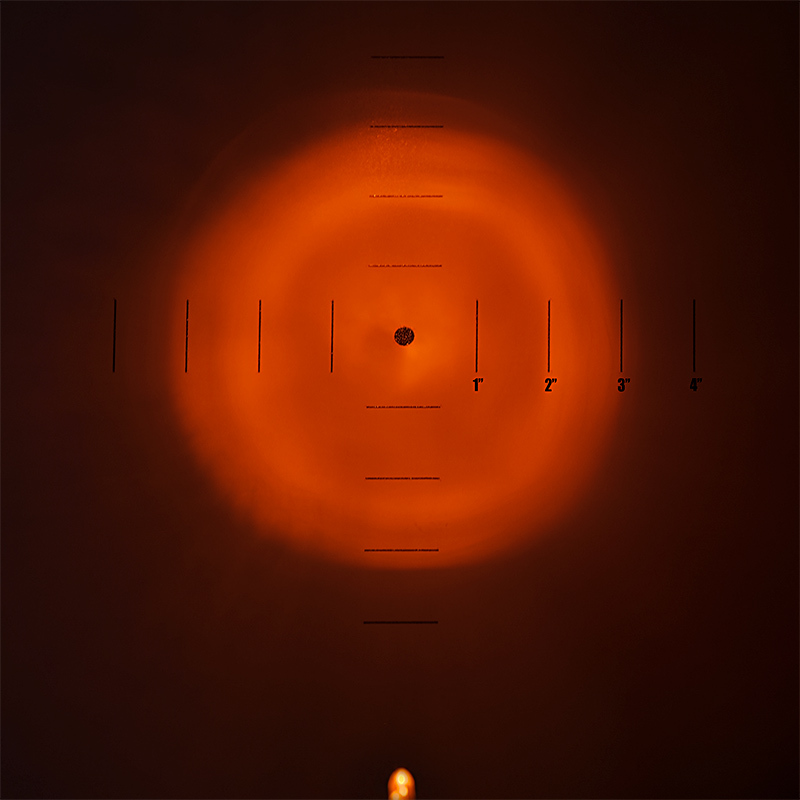 5mm Amber LED - 605nm - T1 3/4 Through Hole LED w/ 30 Degree Viewing Angle: Target Shot Showing Light 6 Inches Away From Target (Hash Marks On Target Are Shown 1 Inch Apart). 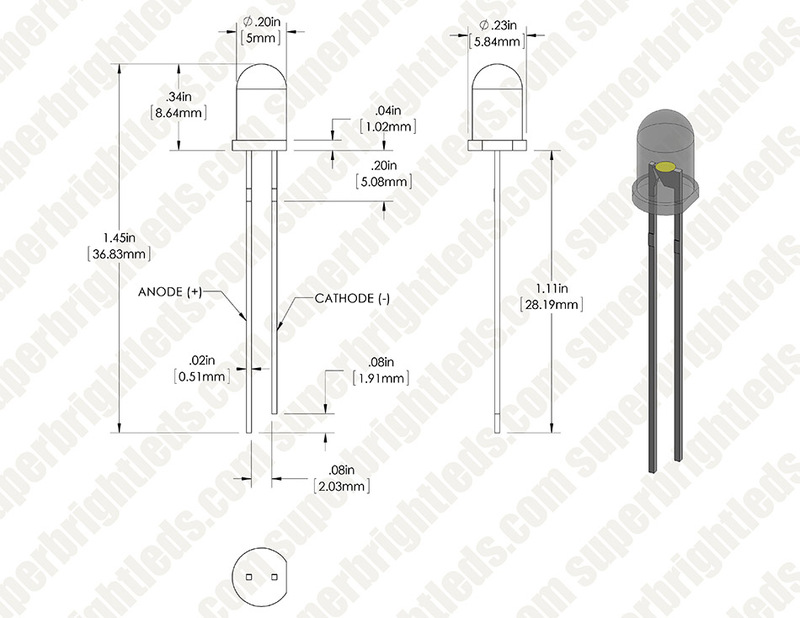 This amber LED is designed for flashlights, indicator lights, bicycle headlamps, and other small projects. It has an output of 9,000mcd and a dominant wavelength of 605nm. 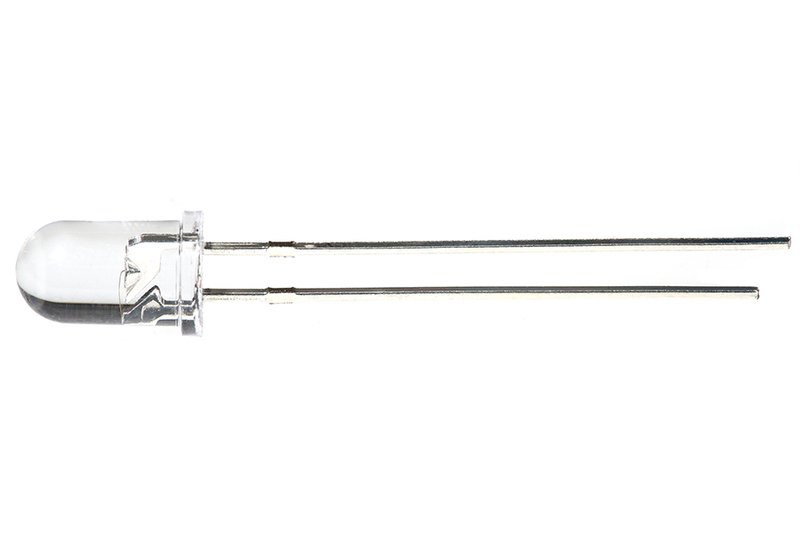 The T1-3/4 through-hole 5mm LED has a clear lens and emits a 30° beam of illumination. It has a typical forward voltage of 2.0V at 20mA and a peak forward current of 100mA. Use of a resistor or other current-limiting device is crucial to prevent premature LED failure. 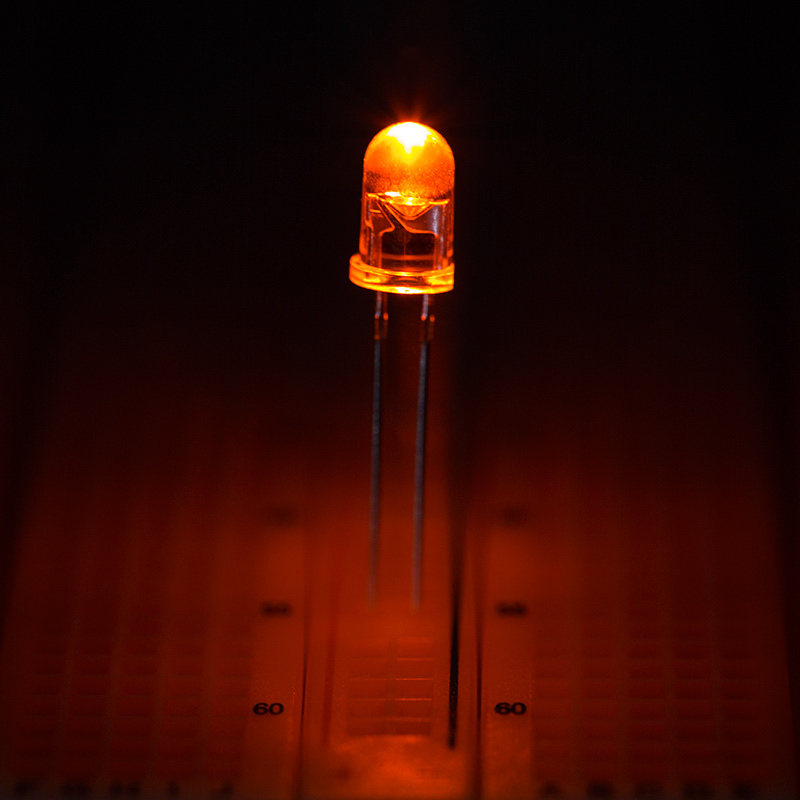 Component LEDs are sensitive electronic devices and require some knowledge of electronic circuits to operate. Price listed is per unit; however, bulk discounts are available and are automatically applied to your order.